We all know that public transit connects communities and helps people get where they need to go. But for some, it’s more than a help – it’s a vital resource. Maggie Ota can attest to this. A Forest Grove resident for the past three years, a big reason her family relocated to the area was because of the school district’s integrated programs for disabled students. In the Forest Grove School District her son, Mika, is able to attend a regular classroom with other kids – just like everyone else. This may not sound special, but in his previous school experience in California, disabled children were separated from other children – whether that meant not being able to participate in picture day when the other students took their photos, or not being invited to all school assemblies. The experience was isolating, particularly for Mika – a child who is bright, fully aware and processes what’s around him, but is nonverbal. “His voice isn’t automatically heard, so I work extra hard to make sure that someone is advocating for him at school when I cannot be with him,” Maggie, says. 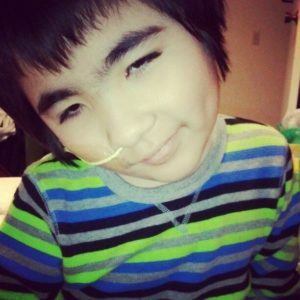 Mika, 12 years old, has cerebral palsy. This causes a partial visual impairment; there’s nothing wrong with his eyes – the disconnect is with the part of his brain that processes sight. This disconnect is also why he’s nonverbal. Mika also has epilepsy and because of this, could not walk well until he was 10. His epilepsy also makes it difficult to chew and swallow, making a nasogastric tube necessary to clear his airway. The Forest Grove Public School experience has been extremely positive one for Mika. Its only downside? Forest Grove is roughly one hour outside of Portland, where most of Mika’s doctors are located. It’s a trek his family must make often because of his various medical conditions, and one they make using public transportation. Mika has regular appointments at many different locations — from his neurologist at Doernbecher Children’s Hospital in Portland, to other specialists located throughout the Kaiser Permanente network in Beaverton, Hillsboro, and Clackamas. Public transit makes these journeys possible. “Taking transit doesn’t just help us get there — it allows me to be able to connect with my son, to look at him and talk to him. I can focus completely on him, which makes it a much less stressful experience. Mika needs to be watched because of his medical needs, especially on a trip as long as one from Forest Grove to Portland”, Maggie says. Maggie calls public transit an essential resource because of how it “creates connectivity between all appointments”. Public transit can also be essential when inclement weather hits. We’ve seen in recent snow days that when the freeway may not be a safe option for some single passenger vehicles, TriMet busses are chained up and ready to go, and the MAX is still running. “I don’t know what we would have done if we couldn’t have made it to the doctor,” Maggie says. 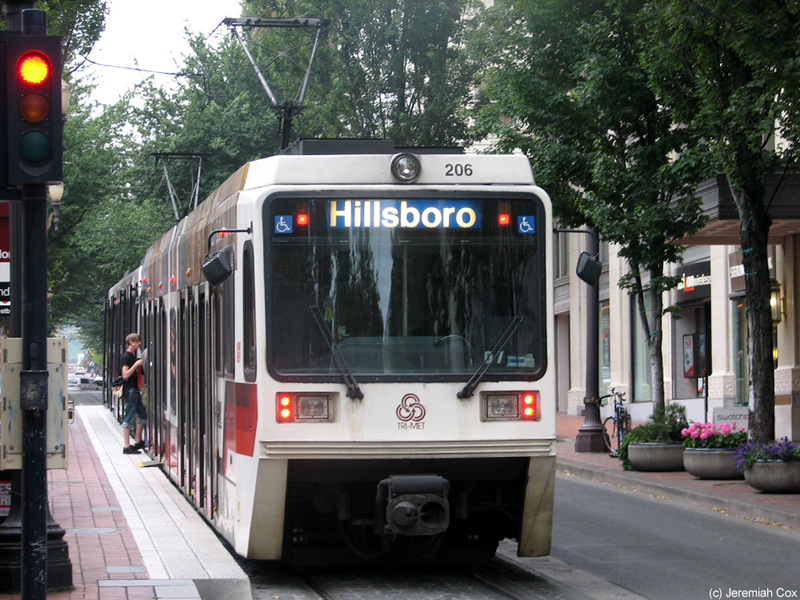 For every mile taken on TriMet, 59% less carbon is emitted compared to driving alone. Neighborhoods with good access to transit save residents $200 per month compared with car-dependent neighborhoods. Public transportation is good for our planet, our wallets, and for our communities. But nothing quite solidifies these points like hearing a story like Maggie and Mika’s — one that illustrates how public transportation isn’t just great for our communities in general, but is making all the difference to families with special needs. 1 Reply to "Public Transit Makes the Difference: Maggie & Mika’s Story"
I’m so glad Mika can find some social equality in our community. And, I’m glad TriMet is able to help you all get around. Your story makes me proud to be a 27-year veteran transit operator serving TriMet’s variously-abled passengers, like Mika.